ANDRITZ supplies technologies for the nonwovens industry from forming to finishing as well as textile calenders. ANDRITZ combines the expertise of three leaders in the nonwovens and textile industries with long-standing and successful traditions: Asselin-Thibeau, Küsters, and Perfojet. The key competences lie in needlepunch, spunlace, wetlaid, wetlace, spunbond, spunjet, and finishing technologies. Customized concepts and services are developed to suit every need. ANDRITZ Asselin-Thibeau, a leading nonwovens system supplier, designs, builds and supplies turnkey drylaid nonwovens lines including cards for direct and crosslapping lines, crosslappers, drafters, and needlelooms. 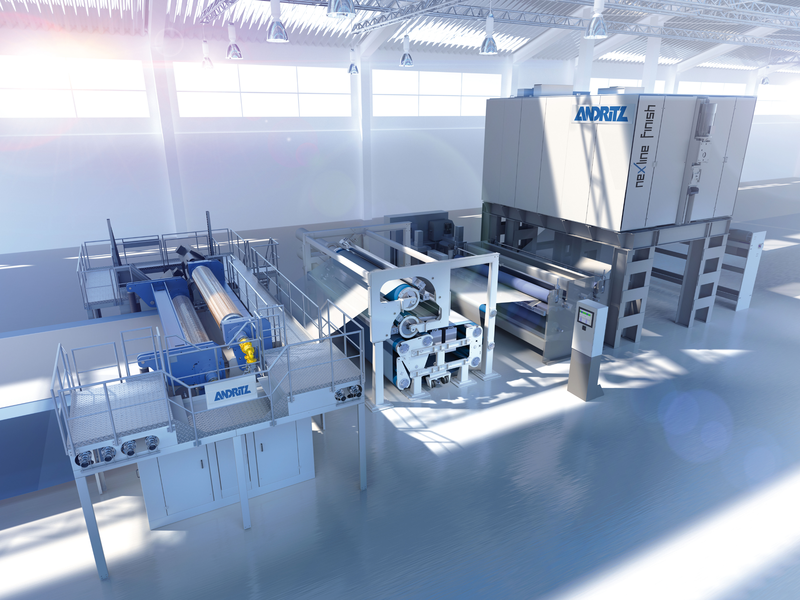 ANDRITZ Perfojet, one of the pioneers in hydroentanglement, now has more than 240 machines and complete spunlace production lines in operation worldwide. ANDRITZ Küsters has extensive know-how and references in wetlaid forming, calendering and finishing processes, with more than 2,500 calenders and 24,000 deflection-controlled rolls sold worldwide. In order to promptly serve our global customers, ANDRITZ Nonwoven has facilities in Wuxi, China, and Spartanburg, USA, as well as representatives all around the world. See our latest nonwoven and textile news! Team up with ANDRITZ Nonwoven at fairs and events. ANDRITZ Nonwoven raises the bar for technologies right from bonding to finishing till drying for spunlaid nonwovens production lines.